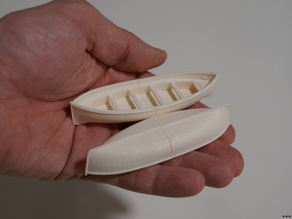 I am dreaming to make the RMS Titanic in some massive scale, this is just a test to see how the 3d print could help. And it's AMAZING result! Thanks a lot. I really hope to find more time to create all of it. Nice print! Thank you for sharing the photo of the make!